STRATFORD-UPON-AVON’S popular Home and Garden Show is set to return this weekend in support of Bliss, a charity supporting sick and premature babies. 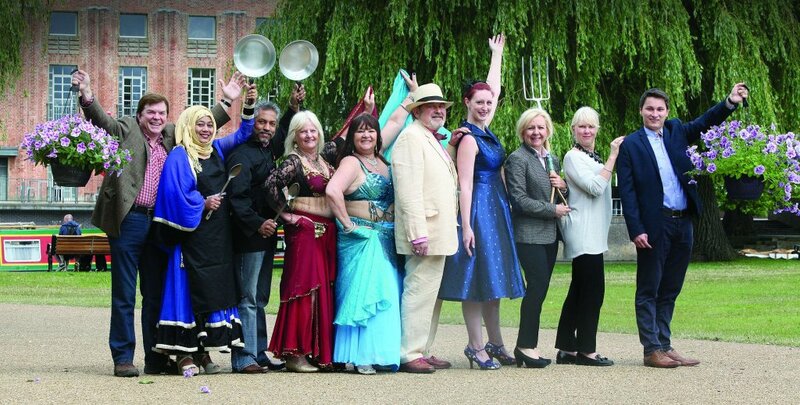 This year, in recognition of the 400th anniversary of Shakespeare’s death, the show – which opens on Friday, 15th July – will feature its own Shakespearean ‘Globe Theatre’ Charity Show Garden in which local singers, actors, dancers, poets and musicians, and even a belly-dancing troupe, will be performing. The garden was created by Tysoe gardening business Progardens and designed by Jamie Langlands, aiming to capture the setting of Shakespeare’s original performances in the 1600s. The Shakespearean Garden is not the only live performance theatre at the show, the Demonstration Theatre will see gardening, interior design and bee-keeping presentations while at the Cookery Theatre top chefs will be demonstrating their culinary skills. The catering department at Stratford College will be represented at the cookery theatre as will award-winning 19-year-old apprentice chef Chloe Gardner and chefs from Tiddington’s Aladdin Restaurant. The show also boasts a scenic vintage tearoom on the river edge where visitors can enjoy cream teas, a large home and crafts marquee packed with stalls and a rural crafts marquee with live demonstrations. Organisers say they hope the event will draw in visitors to Stratford and town hosts from Stratforward will be on site advising people on what is going on over the weekend. The show, which is sponsored by the Rosconn Group, has been organised by BBC gardening presenter Steve Brookes and Stephanie Lester, who are both directors of Blooming Marvellous Events. The show runs from tomorrow, Friday, until Sunday and is officially opened with a charity VIP preview evening tonight, Thursday. All proceeds from the evening, which will feature live music and food, will go to Bliss. Tickets for this year’s main show days are from £5 (online) and all CV37 residents can take advantage of a special show offer of two tickets for £5 provided they arrive with proof of address.